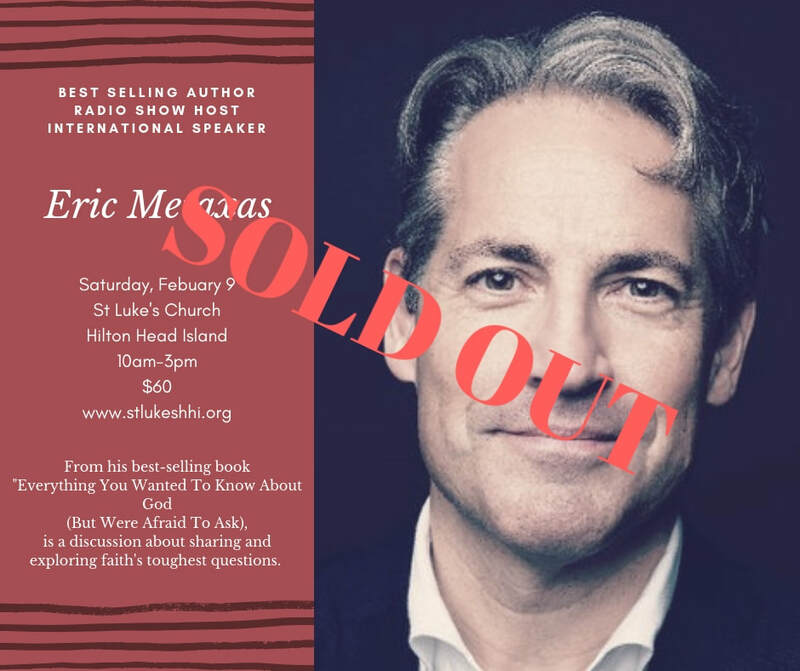 New York Times Bestselling author and radio host Eric Metaxas will be leading a one day conference based on his book Everything You Always Wanted to Know About God (But Were Afraid to Ask). 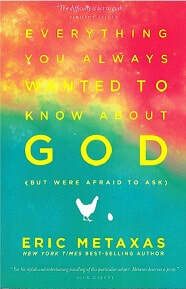 The day is for those who think they know nothing about God, and those who think they know all the answers. It will be entertaining, challenging and a chance to hear Eric's experiences asking the most important questions we can ask. Space will be limited and reservations are required. You may use the Credit Card link below to purchase your tickets online, or the Print link to print an order form and mail it to the address on the form with your check. We are very sorry if you would like a reservation, but we have sold out and have no more space available at this conference. The links below have been disabled. Eric Metaxas is the #1 New York Times bestselling author of Martin Luther, If You Can Keep It, Bonhoeffer, Amazing Grace, and Miracles. He has written more than thirty children’s books, and his books have been translated into more than twenty-five languages. He has collaborated with artist Tim Raglin on a humor book titled Donald Drains the Swamp. His writing has appeared in the Wall Street Journal, the New York Times, and the New Yorker, and Metaxas has appeared as a cultural commentator on CNN, Fox News, and MSNBC. He is the host of The Eric Metaxas Show, a nationally syndicated daily radio show heard on 300 stations nationwide. He lives in New York City with his wife and daughter. Hilton Head Island is a wonderful place to visit all year round. Here you’ll find 12 miles of pristine beaches and everything you need for the ultimate coastal retreat. We have more than 24 world-class golf courses, 300 tennis courts, and hundreds of years of rich and vibrant history. There are many choices of accommodations for any length of stay. You can click here to find a place that fits your plans for visiting Hilton Head. If you are coming to Hilton Head just for this conference, we have arranged a special price for excellent rooms at the Park Lane Hotel for checking in on Friday, February 8 and checking out on Sunday, February 10. The rates will be $89 plus tax and fees for a double king and $103 plus taxes and fees for a double queen.These rates will be available until January 18, 2019. You may book the room online by clicking Book Special Rate or you may call the hotel at 843-686-5700 and ask for the St. Luke's special rates (sl219).